Never curled before? Try Free Curling at the Blind River Curling Club from October 2nd to 6th, 7:00-9:00 p.m. Equipment is available at no charge. 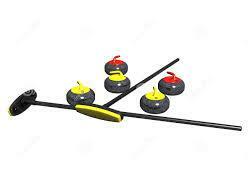 Join the Blind River Curling Club and bring a friend! Fun and exercise for all ages! Monday to Thursday for Ladies’, Mens’ or Mixed. Join as a single or as a team. Wednesday Afternoons at 1:00 p.m.
Friday Fun Nights at 7:00 p.m.